As she nears her delivery date, Stephanie Davis is making sure to keep her fans up to date with all her latest pregnancy news. This time it was the turn of her latest scan. The 23-year-old took to Instagram yesterday to share a video from her latest scan where the mum-to-be can be seen getting very excited at the sound of her baby's heartbeat. The former Celebrity Big Brother star has already announced that she is expecting a baby boy, and a healthy one if that strong heartbeat is anything to go by. "I am so unbelievably in love with you!" Stephanie said in her post. "I freaking love you my beautiful boy!" "We have done it baby! I've loved watching you grow and seeing and hearing you, every appointment. "You are my entire world." 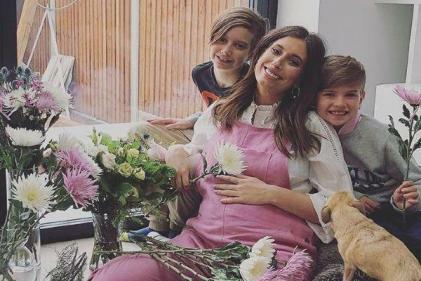 Stephanie has faced her fair share of backlash and online trolling over the past year but it looks like the mum-to-be is in a happier place now. "We have been through so much, and look at us. Strong, healthy and so happy! "We have everything, family, our new home, just perfect. "You are the reason to my life, I love you!"